Haven't been building MOCs in a while but here is one I just finished this afternoon! 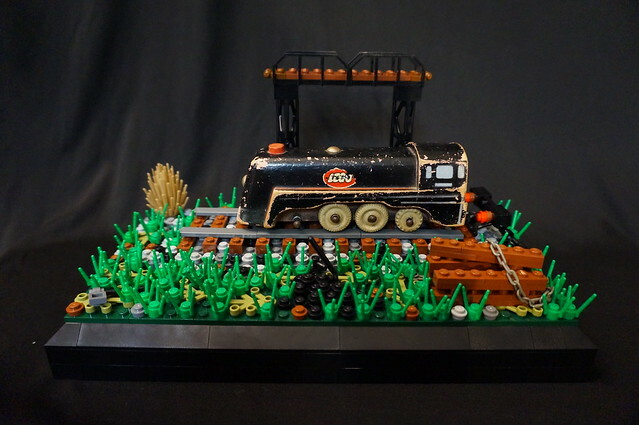 The centerpiece of this MOC is an original LEGO Wooden toy from the 1950s! Wow! 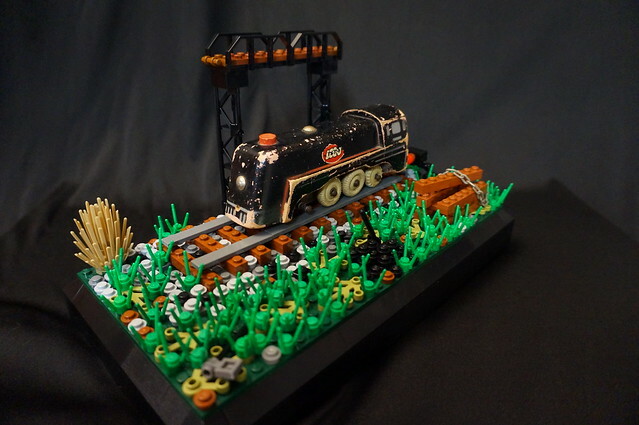 I had no idea lego made wooden trains. I knew that they heads wood shop, but trains? I really like it. Great find! 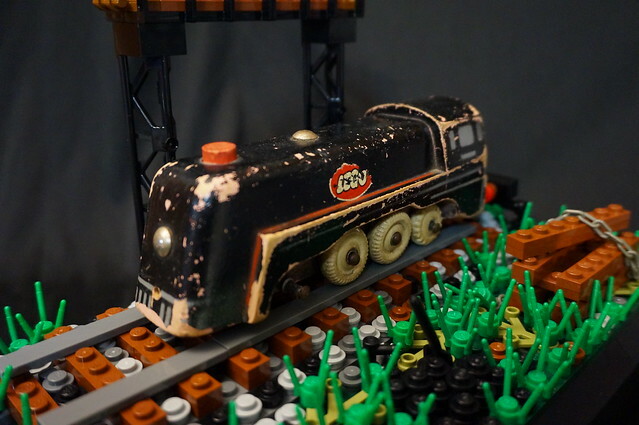 With this MOC, you managed to combine the old with the new really nice! I also liked the surrounding area! The build compliments that stunning centrepiece very well.